We’re excited to share Gloria’s Golden Fall Decor! Fall decor doesn’t have to be orange, yellow, or brown. While those traditional colors are beautiful, it can be fun to change things up. 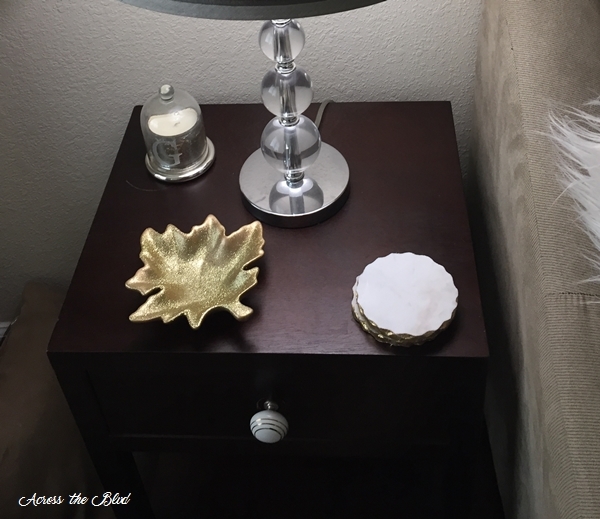 Gloria loves using gold accents at her place, so it was a perfect mix for her to incorporate gold tones into her fall decor. 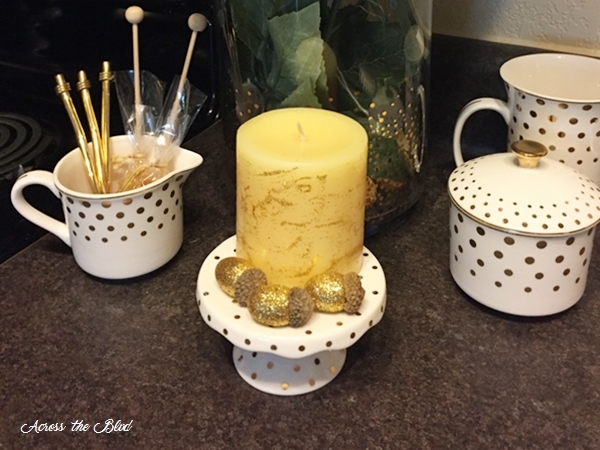 Some DIY projects are combined with some pieces she found at various home stores to give her a look she loves. I was happy to help her create the look. 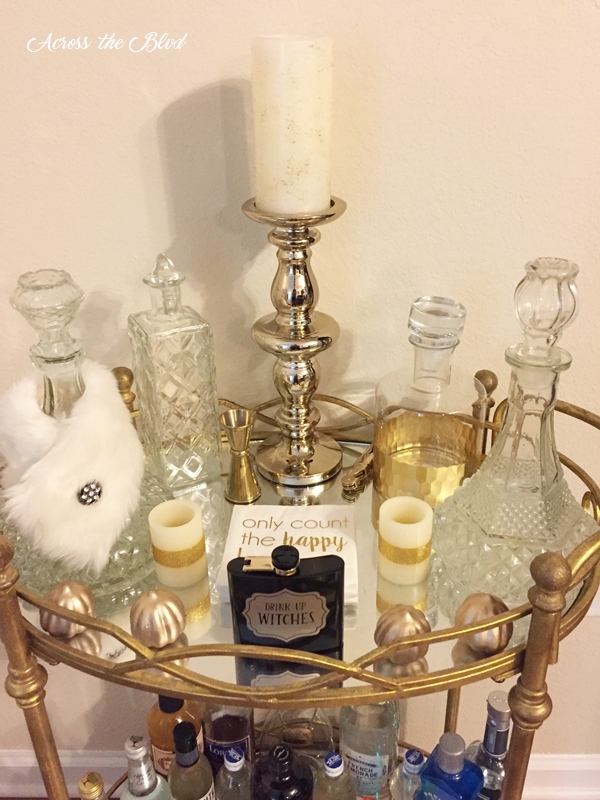 The gold bar cart is one of Gloria’s favorite pieces of furniture. I love how she uses this bookcase for glasses and other bar ware. We added some fall touches to the bar cart. 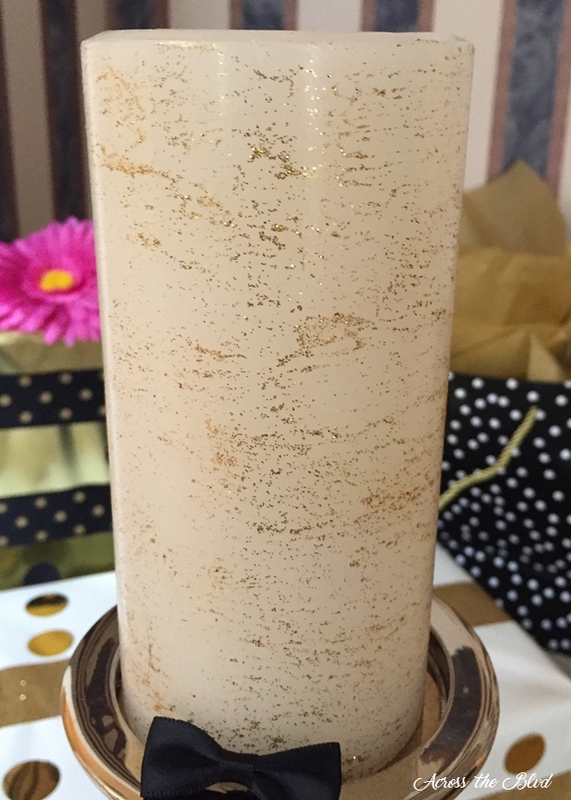 The candle is an LED candle that I coated with gold glitter paint. I painted it for Gloria’s recent birthday party and it fits in perfectly with her fall decor. 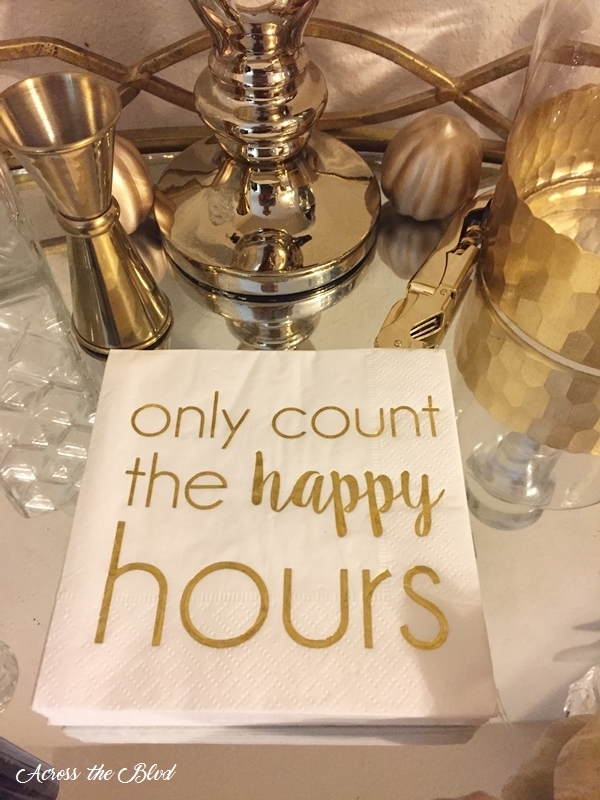 While these napkins aren’t fallish, they sure are cute! She bought these at TJ Maxx. 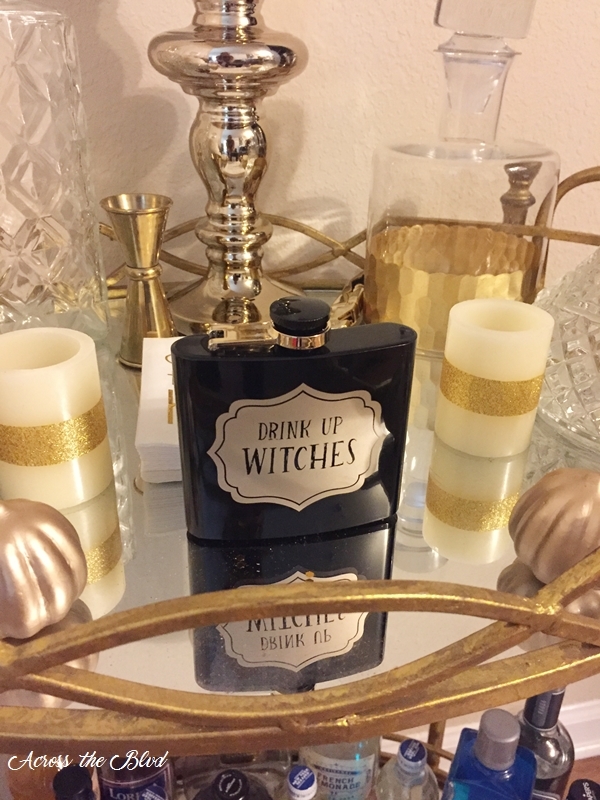 This flask adds a little fun Halloween touch to the bar. The small candles have gold washi tape around them. 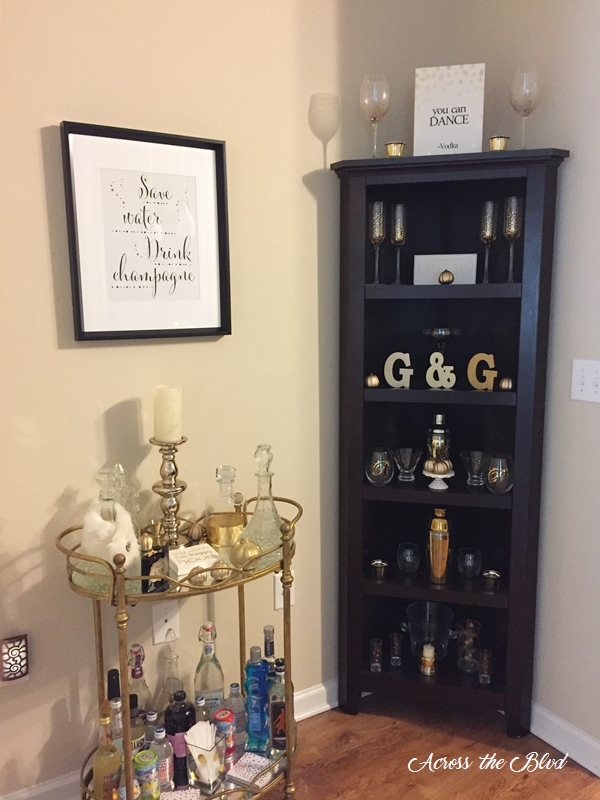 I love the decanter with a gold accent that Gloria found at Home Goods. We used several small pumpkins that Gloria bought at TJ Maxx. These are placed on a mini pedestal plate that is sitting on her bookcase. 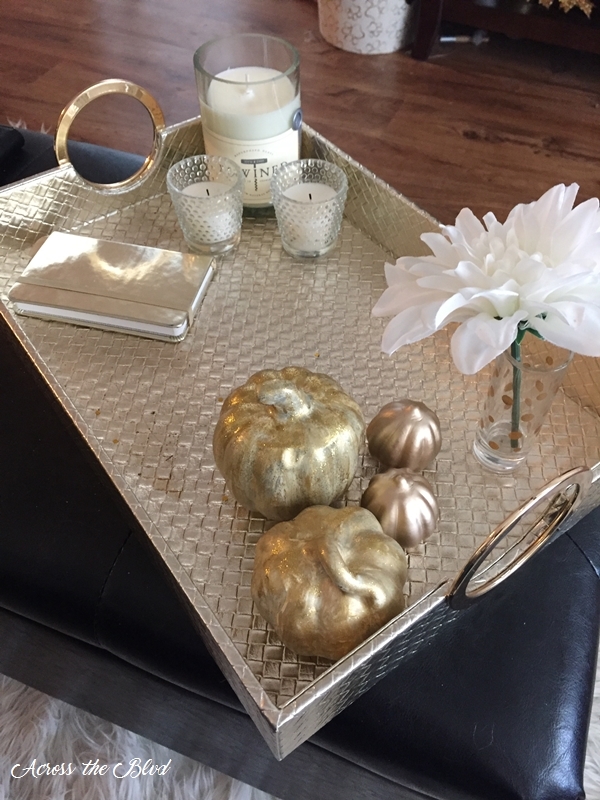 This gold tray is often a catch all, but it’s looking pretty with some dollar store pumpkins that were painted gold and finished of with some glitter paint. I found a couple of leaf dishes at Goodwill not long ago. They were yellow and green. But spray paint changed that. After spray painting them gold, I added some glitter paint to them. We’ve placed one on each of the side tables. 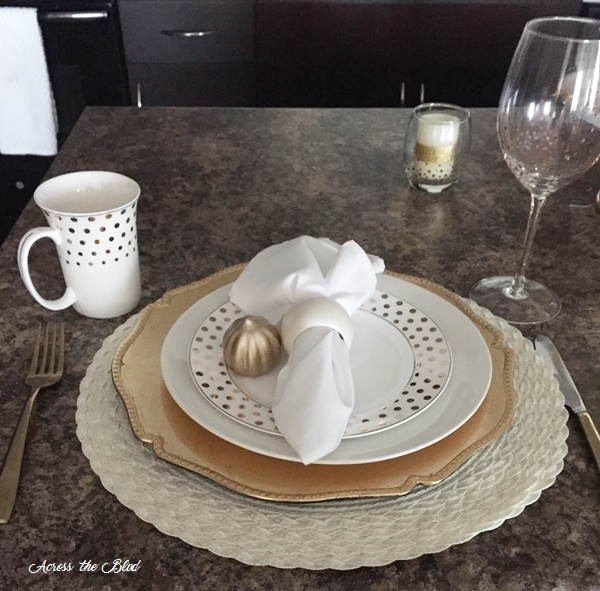 For her island, Gloria uses white dinner plates, white and gold salad plates, gold flatware and some fun polka dot cups and glasses. The only thing we added to the place settings was a small pumpkin next to the napkins. 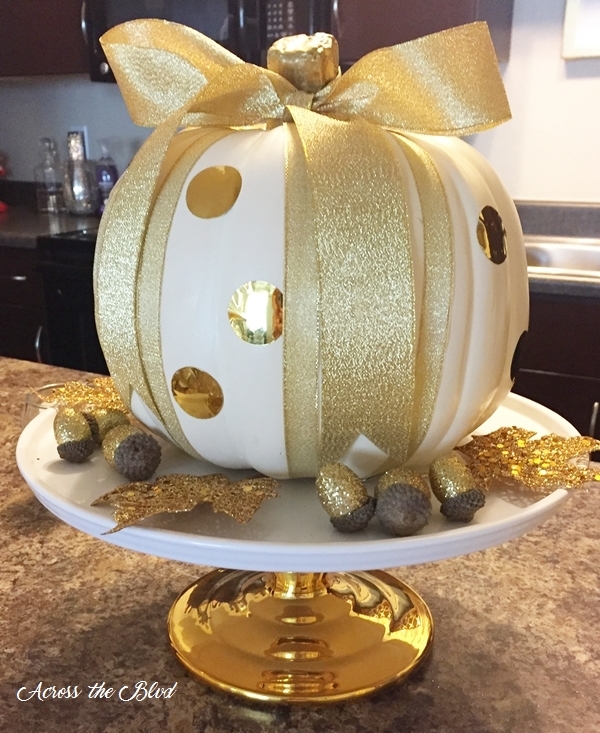 For the centerpiece on the island, I used a plain off white craft pumpkin and added some glittery gold ribbon along with some gold adhesive dots. I painted the stem gold and added a bow. To give it some height, we placed it on a this pretty cake pedestal that Gloria has had for a while. We added some pretty acorns and some gold glitter leaves we found at Michaels. I think the island decor looks great! A few other fall touches were added. You can’t live in the south and not have something with this saying on it! 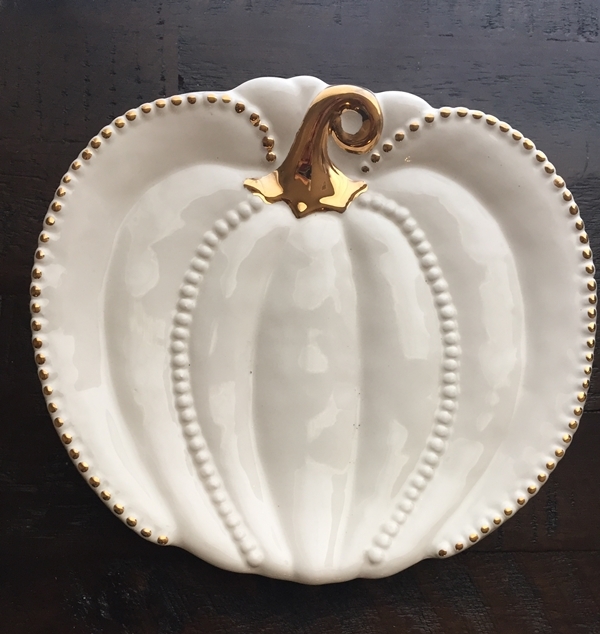 We found this pretty pumpkin dish at Home Goods to use as a candy dish. 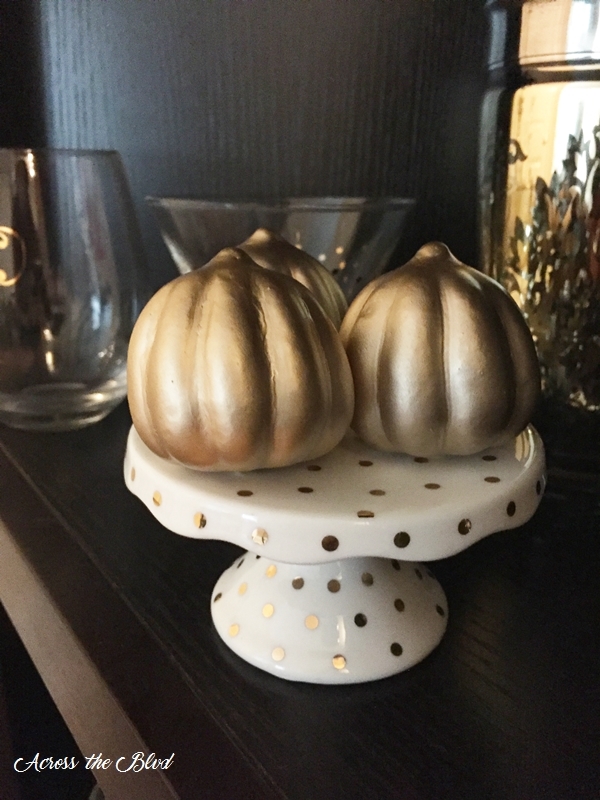 We added a small gold glitter painted candle and acorns to another mini pedestal dish on the kitchen counter. 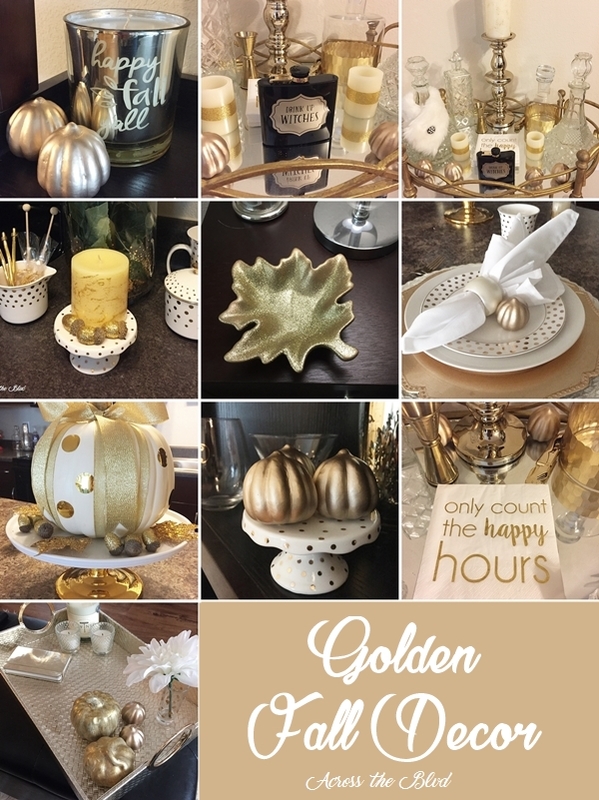 Gloria’s Golden Fall Decor fits her style perfectly! I had fun helping with the DIY projects and putting it all together with her. Great post ! I love the gold and white for fall. 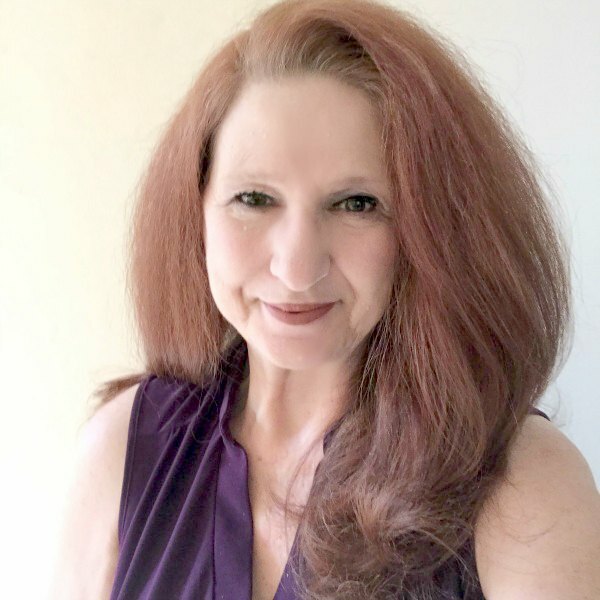 Thanks for sharing at the family joy blog link party this week!! Thanks, Melissa. I enjoy the Family Joy Party each week. Thanks, Wendy. 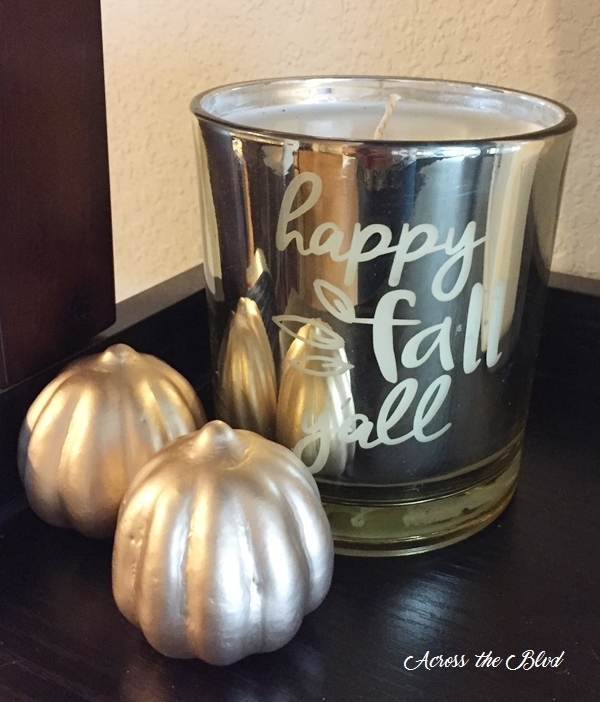 I love the traditional colors for fall decor, too, but changing things up can be fun. 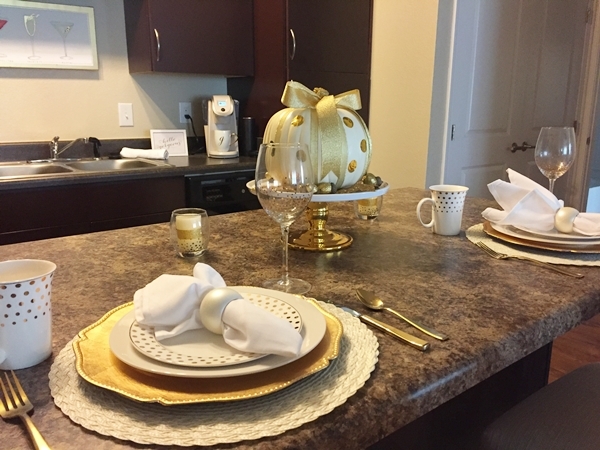 Using all of these gold accent pieces at Gloria’s place fits in with her overall decor. Last year, I started incorporating coastal colors with fall pieces and I love it. I think the fact that it is still in the upper 80s here most days is part of the reason for our switch from the warm colors of fall. I love the polka dot pumpkin! Thanks for sharing on the Pleasures of the NW DIY party! Thanks! It was easy to dress up the plain pumpkin using adhesive dots. Thanks for the party! Love all the beautiful accents! Especially, love that cute little pumpkin candy dish. Nice look. Thanks for sharing! Thank you, Theresa. We had fun putting it all together for Gloria’s place. Thanks, Jess. Thanks for the party each week, too.